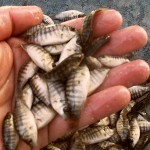 Already over 50% of seafood eaten by humans is farmed. Wild caught fish produce around 90 millions tons annually. South Africa produces a few tons of abalone, a few tons of trout and that’s pretty much about it. Africa in general has a massive shortage of fish, and fresh fish is in even scarcer supply. The market opportunity is staggering. A few fun facts with mathematics. Are you still seriously worried about your market? No hormones (it is true that hormones dissipate inside the fish but whilst being fed to the fish theyare flushed into the waste water and then into the water system in general. They are banned in Europe for good reason). No medications or chemical treatments of any kind (occasionally we might use coarse rock salt in the pond water). 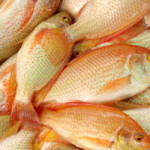 To further sweeten the deal, tilapia are vegetarian which means they are nett fish protein production positive (i.e. you don’t have to feed fish to fish to grow fish. If that sounds fishy, it isn’t and that’s the point!). The closest any other animal comes to that is a battery chicken at just over 2:1, with beef reaching around 6:1. Fresh fish is thus healthier and kinder to the environment. 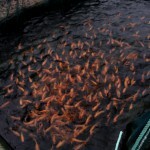 Fish farming is a local industry. 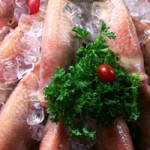 Fresh fish is best served fresh – and because the numbers are so small the volume of the market is relatively massive. 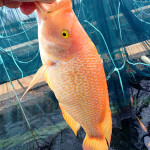 Consider that a commercially viable fish farm is of the order of 20 tons per year (an R800k investment), 200 tons per year (an R8m investment) would be considered a mid sized operation and 2000 tons per year (now an R80M investment) would be considered a large one (for tilapia). South Africans ate 2 millions tons of chicken last year. 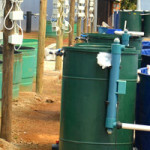 The biggest problem fish farming faces is this: As soon as the local population realises fresh fish is on the menu, and it tastes as good as tilapia does, the challenge is then to scale up production to meet demand. We’re quite comfortable saying that we think it will be decades before supply meets demand.